In addition to human injury, the true cost of forklift accidents includes downtime, stalled production, damaged stock, and damages to machinery and other equipment — all impacting revenue. Over 1,300 UK employees are hospitalised each year with serious forklift related injuries, according to the British Safety Council. What’s more, five workers each day suffer life-changing injuries as a result of forklift accidents. Aside from the health and safety implications, there are a number of less visible material handling costs that can significantly impact your bottom line if forklift safety isn’t considered a key priority. 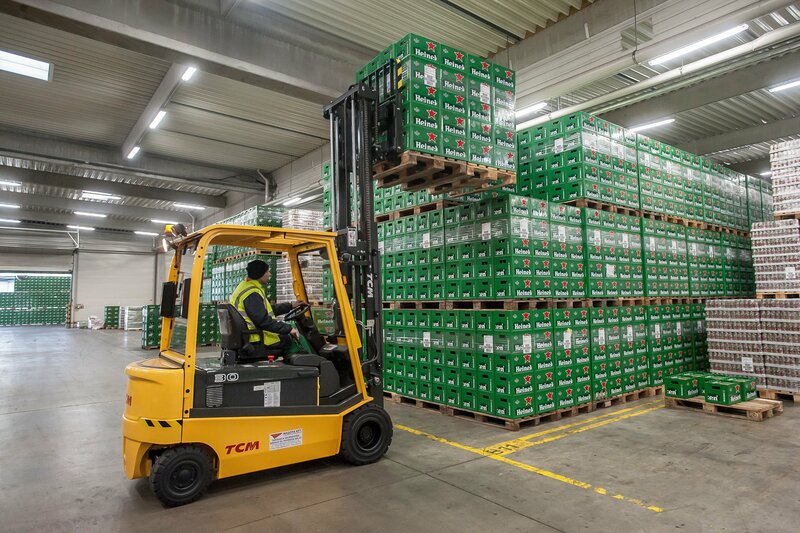 Warehousing already makes up a large percentage of a company’s logistics costs without taking into consideration damage to material handling equipment such as the truck or nearby palettes and racking as a result of an accident. Equipment damage and the subsequent repairs necessary can cost businesses upwards of thousands, depending on the scale of the incident. Unforeseen costs such as these pose a significant challenge to material handling companies — especially smaller businesses. Downtime as a result of a serious forklift accident can have significant consequences for material handling businesses, including stalled production, decreased revenue, and reduced profits. Although it may be tempting to cut corners when it comes to implementing health and safety measures such as routine site maintenance, equipment checks, and providing satisfactory training, the associated costs of forklift accidents can escalate exponentially. This is harmful to both employee wellbeing and the future of the business. Labour costs are typically the largest expense in the warehouse. In many operations, it can account for up to 50% of a warehouse’s total operating costs. High levels of employee turnover drives a negative cycle, increasing the requirement for temporary or poorly hired staff who will not necessarily be sufficiently trained. This heightens the risk of workplace accidents, further exacerbating the issue. Crucially, if a business remains short-staffed for too long and can’t meet client commitments, reputational damage can follow. Every accident is avoidable and is always unwelcome, but most forklift incidents are relatively minor, where those involved suffer mild or slight injuries. 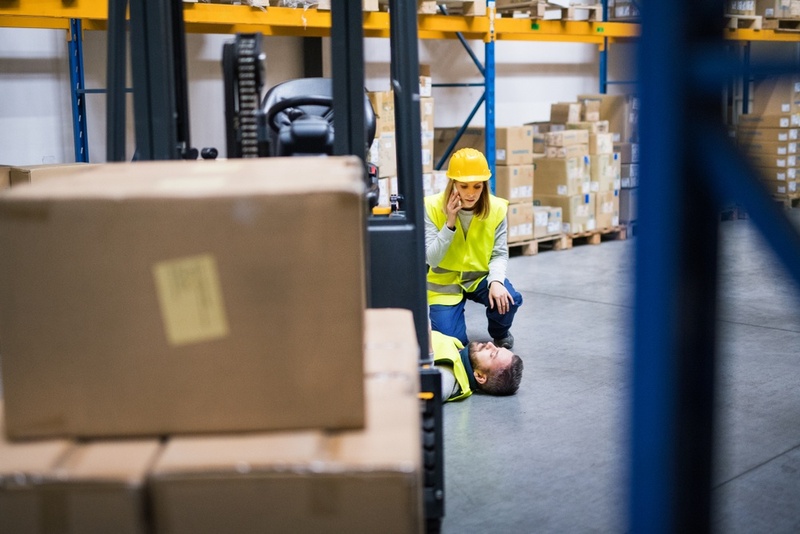 Unfortunately, it’s common for forklift accidents to leave victims with serious injuries resulting in lengthy recovery periods and extended time off work. In worst case scenarios, a forklift accident can result in life-changing injuries or fatality. Disastrous events like these are easily preventable by implementing simple health and safety measures. If these measures are not implemented adequately, the true cost of forklift accidents — including their impact on your staff and their families — can be immeasurable. Employers are responsible for covering employees’ medical costs should they be involved in an accident in the workplace. Depending on how serious the incident, it’s not uncommon for direct and indirect costs to range from £40,000-£200,000. Marcus highlights how easily forklift accidents can escalate, explaining that ‘if someone gets hurt, there’s going to be an investigation, you get sued, there’s going to be court action’, and the list goes on. Unsurprisingly, forklift accidents can be especially damaging for small businesses financially. However, paying out significant legal costs can be easily avoided by taking the appropriate measures to ensure safety and provide suitable operator training from the outset. The impact of forklift accidents can stretch well beyond the human costs, directly contributing to the total cost of ownership (TCO) of your forklift fleet. Although disregarding workplace safety measures may appear to save time and money in the short term, the financial repercussions of an accident are often widespread and costly. To prevent accidents from occurring, implementing the appropriate health and safety measures is crucial. In particular, carrying out routine equipment checks, scheduled maintenance, and frequent training will play a key part in improving safety and reducing the cost of cost of forklift accidents to your business.